Home / News / nokia / Nokia S40 / New Nokia 305 RM-766 ? New Nokia 305 RM-766 ? Another Low end / featured Nokia Phone will be introduced or released to the market? Nokia 305 RM-766 passes the certification process from Information & Telecommunication Ministry of Indonesia. This Nokia 305 should be Nokia featured phone and maybe the member of Nokia Asha family. 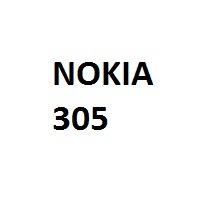 We still not have any information, preview and specification about this Nokia 305. We'll keep you posted with the latest update of this Nokia 305.